Ellen is Professor of Pharmacy Policy and Practice, Director of the Centre for Pharmacy Workforce Studies (www.pharmacy.manchester.ac.uk/cpws/); and Director of Postgraduate Teaching and Learning in Pharmacy and Optometry. Ellen has over 20 years experience as a health services and pharmacy practice researcher and has a particular interest in pharmacy policy. Building on her experience researching the impact of prescription charges and providing evidence to government reviews, more recentpy her research interests have focussed on performance, professional regulation, pharmacy policy, workforce and education. In 2014, Ellen won the 2014 Royal Pharmaceutical Society’s prestigious Pharmacy Research UK award. Ellen has a strong publication record, ensuring timely dissemination at academic and professional conferences, and effective engagement with various stakeholders. To date, she has published over 50 full peer reviewed journal papers. Ellen's expertise is recognised through her membership of a range of external panels, such as the RPS publication 'Medicines, Ethics and Practice,' the GPhC's Revalidation Advisory Group, and the Department of Health policy advisory group Rebalancing of Medicines Legislation and Pharmacy Regulation - Partners’ Forum. Ellen is Director of Postgraduate Teaching and Learning, overseeing a programme of Postgraduate degrees and CPD in pharmacy and vision scciences. She is also responsible for the teaching of pharmacy law and professional regulation to our undergraduate MPharm students and is unit lead for 2nd year 'The Pharmacist', where she delivers the law lectures. Ellen also supervises final year MPharm student projects, most of which are presented at conferences, and some are published as full academic papers. 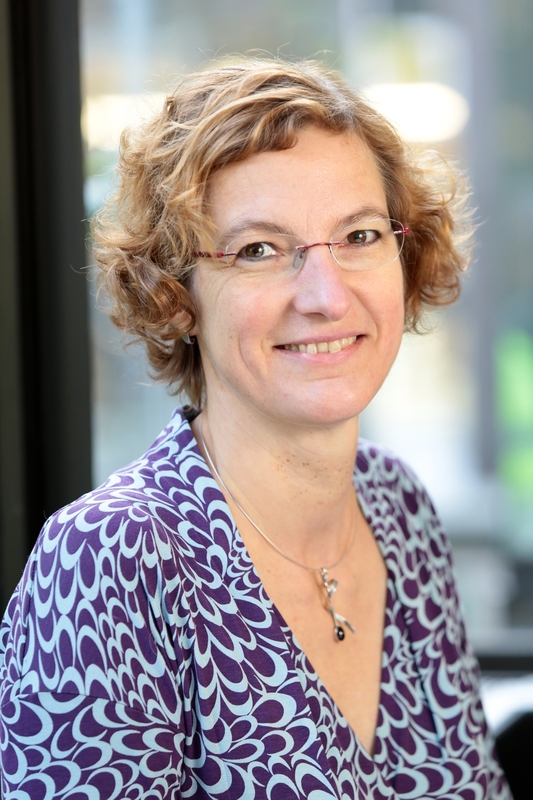 Ellen supervises a number of PhD and MPhil students (five to completion), as well as MClinRes and MSc students; she has acted as external examiner for PhD and DPharm awards. Ellen Schafheutle is a pharmacist, originally qualified in Germany and registered in the UK since 1994. Following an MSc in clinical pharmacy and a PhD in pharmacy practice in the University of Manchester's Drug Usage and Pharmacy Practice Division (DUPPD), Ellen became a member of staff there in 1998. In 2002, she secured one of only three National NHS Primary Care R&D Post Doctoral Awards, as the first pharmacist from an open field of health services researchers. As part of this Ellen completed an MRes in Health and Community (Policy & Management pathway) thus extending her formal training in research methods and broadening her understanding of policy and management issues. Ellen joined the Centre for Pharmacy Workforce Studies (CPWS), which is part of DUPPD, in 2007, and she became its Director in 2014. Following a career with a clear research focus (as research associate and then research fellow), Ellen became a lecturer in 2009, senior lecturer in 2013, and professor in 2018. I am a 'big sister' in an organisation called 'Girls Out Loud' (http://girlsoutloud.org.uk). They have a number of programmes to support girls aged 13 to 18 through their teenage years and times of big changes and important decisions. They provide discovery days, role model relays and a mentoring programme (big sisters) which are all about inspiring teenage girls to raise their aspirations and become confident, rounded young women. Scoping the Integration of Simulation Based Education in the Delivery of Healthcare Education Programmes Delivered within the North of England. Evaluation of Cross-Sector Apprenticeships in Pharmacy. Evaluation of Non-Medical Prescribing in Primary Care and Mental Health Services in NW England. Does curriculum reform influence perceived preparedness for practice of graduates of Manchester Pharmacy School? A comparison of two cohorts.